Small, powerful and high end. Great packaging, nice build quality and I like the fact that the fan rarely even spins up! My build is rated 298 watts so which is around 66% load for this PSU. No overclocking for me but you might want to get higher wattage if you plan to do so. Wires are covered in black plastic which is ok but would preferred the sleeved cables. 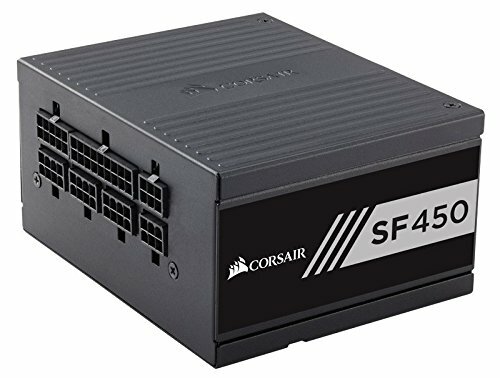 I know, SFX in an ATX case. This little power supply however is rated SUPER well, the fan comes on just about never (and when it does, according to reviews, at 100% power delivery it is below 30 db). I wanted a supply I could carry over to a future build, and that would most likely be a mini-itx style. The only thing wrong with this unit is the single, four span sata cable. 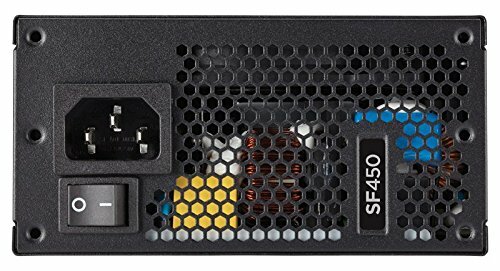 It has a super short reach and typically will end up having one or two sata portions non-functional due to how you route the cables. However, the dual 8pin PCI's make up for that! Just make sure you plan how you will mount your drives. Amazing power supply. Great build quality, near silent, plenty of power. 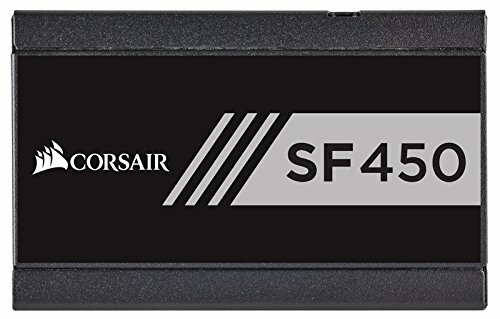 Perfect for any SFF build. Fan Hardly ever spins up, even under high load. powers my 980ti and 6600K with no problems. 7 year warranty, almost never spins up, quality packaging. 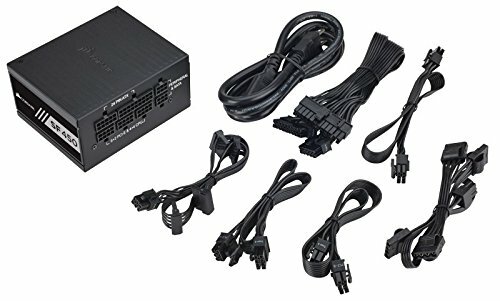 Corsair have done a great job with this PSU, you will not be disappointed! The only complaint I would make if I had to make one is that there isn't enough of a variety of cables included. For example I expected to see 2-3 variations of SATA cables (1 end, 2 ends, 4-5 ends, etc). However considering this is an SFX power supply, it's understandable that they wouldn't include too many extras. So far so good. I love the 7 year warranty. Hopefully I won't need to use it. Super small, 450w Gold (platinum performance at some loads). The fan does not come on until a particular load point or temperature limit ... and I have never had the fan come on. The only issue I find is that each Sata cable has wires running underneath the connector. While I can see this on the first initial 3 connectors, the final should have been flat. This creates tension when mounting a thin 7mm SSD directly to a side panel or rear panel ... but it still works. The only complaint I have is that the SATA cable is kind of short. Other than that, it's nice and quiet.